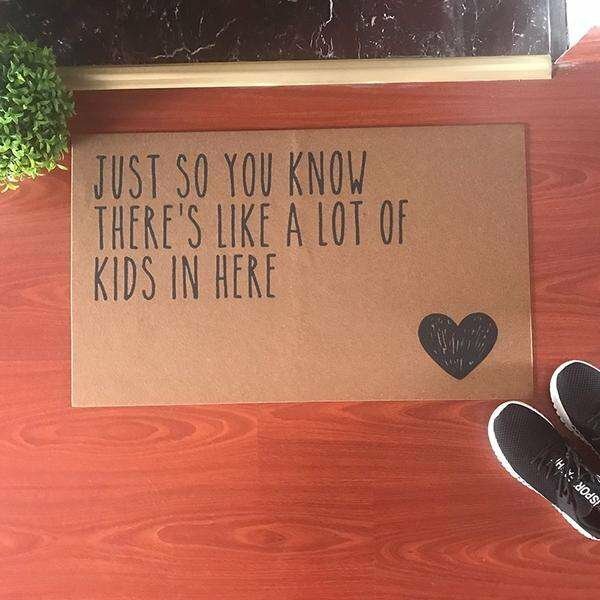 30% OFF Cute Welcome Mat! 30% OFF With FREE Shipping! "Just so you know, there's like a lot of kids in here"
Kids are a big part of your life. And you are proud of them. Why not brag about how many incredible balls of joy you are responsible for? Make sure you get this before your friends do!